Let us help you explore a special weekend in the Catskill Mountains. Our most popular adventure is fly fishing the famous Esopus Creek. Your hosts from Ashokan Dreams B&B and Catskill Mountain Angler will share their experiences with you to create an extraordinary weekend in the heart of the Catskill Forest Preserve. The Catskill Mountains have a magical quality about them. Famous for their historic resorts and music and arts festivals, there is also an exciting emergence of new local breweries, distilleries and eateries transforming our mountain communities. The Catskills’ pristine waterways are also the birthplace of American fly fishing and source of drinking water for New York City. The Catskills offer the ideal classroom for a beginner fly fisherman to learn the practical skills to enjoy the sport. 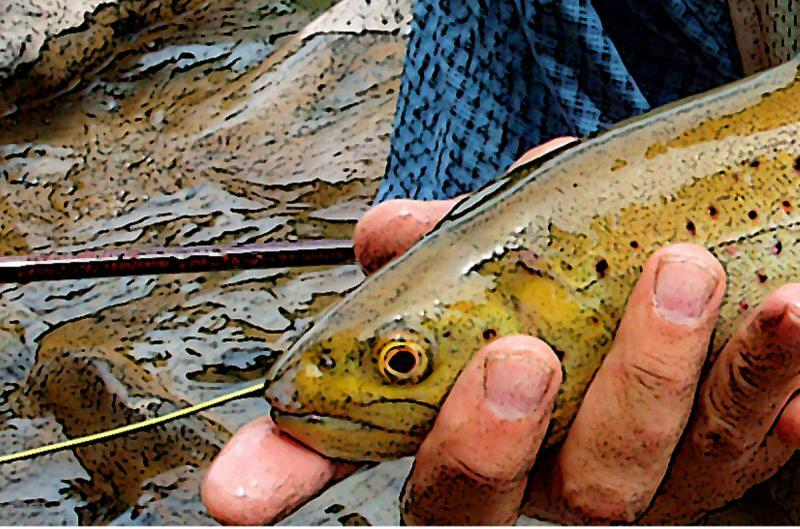 Master Guide, Mark Loete, from Catskill Mountain Angler will teach you those skills and introduce you to the charms of our Catskill trout waters. We can guide you to the famous pools and runs you have always read about, and help you experience fishing for wild trout. Here is an example of a weekend for you and your family, your wedding party, or just for you. A full day of guided fly fishing, all gear included. The Lodge at Ashokan Dreams Forest Preserve Cocktail Reception. Meet your hosts and guides. Learn about the “History of fly fishing in the Catskills”. Gear up! Prepare for your day on the stream. Dinner on your own. We will guide you to our favorite restaurants in the Catskills. Full Local Breakfast in the Lodge. Fly Fishing and Casting 101 Instructions. On to the Esopus Creek for instructions and fly fishing. Dinner on your own at one of the many extraordinary restaurants in the Catskill Forest Preserve. Additional afternoon lessons or guided fly fishing available. Monday – Stay an extra day!